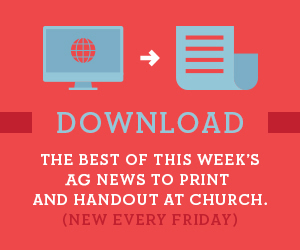 AG embraces the concept of local churches sponsoring ministers for the marketplace. Chaplains are dealing with an increasingly elderly prison population, and the growing need for hospice care behind bars. More than 160 AG chaplains are now serving in areas such as hospice care, nursing homes, and medical centers. Chaplaincy Ministries Healthcare Representative Larry Cooper believes the need will become more acute.